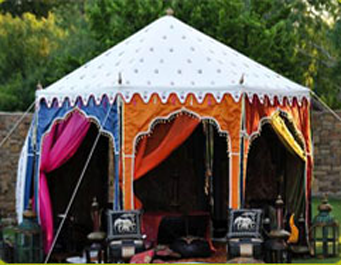 These Tents are used for Relief purposes, in times of distress, such as war or calamity. These Tents can be Double Fly or Single Fly Water-repellent + rot resistant Cotton Canvas Tents. Or more durable and water proof, HDPE (High Density Polyethylene) Single layer Tents. We believe in Quality work only, and keeping this in mind, we never take advantage of the situation by supplying old or rotten canvas tents, like some suppliers have done in the past. We believe that if you wish to do charity, by donating Refugee Tents, do it with a good heart. In place of looking for Quantity, look for good Quality Tents. It might take us some time to make the Relief Tents and supply you, but we will never compromise in the quality of the canvas used or stitching of the tents. Double Fly : Inner and outer Fly made up of Cotton Canvas with walls of Canvas. Single Fly : It is made up of a Single layer of water-repellent Canvas or two layers, outer of water-repellent cotton canvas in Natural color, with lining of cotton sheeting. In the HDPE tents, it is made up of a single layer of HDPE. We will give you most durable relief tents that are long lasting, so that the homeless people can live in the tents for months, before they are re located, during a calamity. A double layered tent protects the homeless and dislocated people from the extremes of weather conditions. The relief tent has to be a comfortable Living Tent, to last for as long as the homeless people are not sent to proper homes. Tent’s Outer is made up of water repellent Canvas in natural color, in the single layer tent, or with an inner of matching color fabric in the double layer tent. Bamboo poles/ Metal poles , wooden Pegs, Cotton ropes, are included with the Relief Tent. 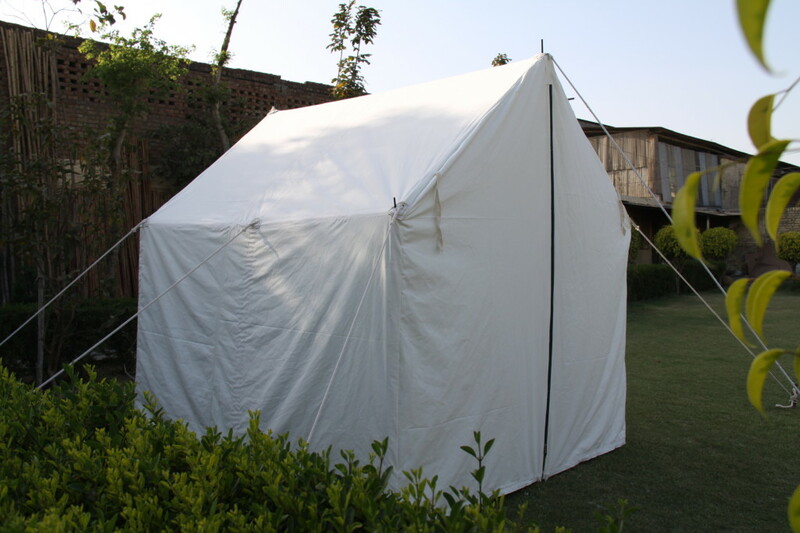 We make Durable and Long Lasting Refugee Tents. We also make Tambu, Tamboo, Chouldaris, Single pole Tents, General Service Tents, General Purpose tents and Export our Tents World wide for Relief Purposes. We have also supplied our Tents to the Indian Red Cross Society. We always suggest our clients, to buy Quality Relief Tents in place of a large Quantity of Tents, when donating for Charity.